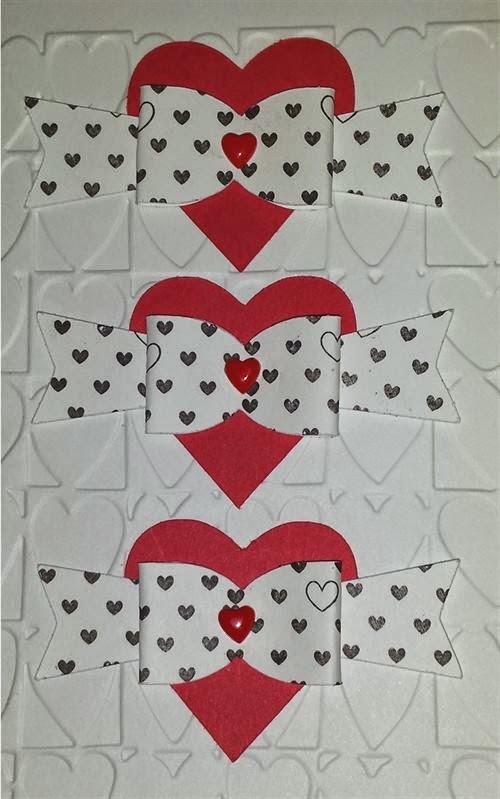 This month's Cricut class had them cut out 3 hearts, 3 bows and we made a quick card. 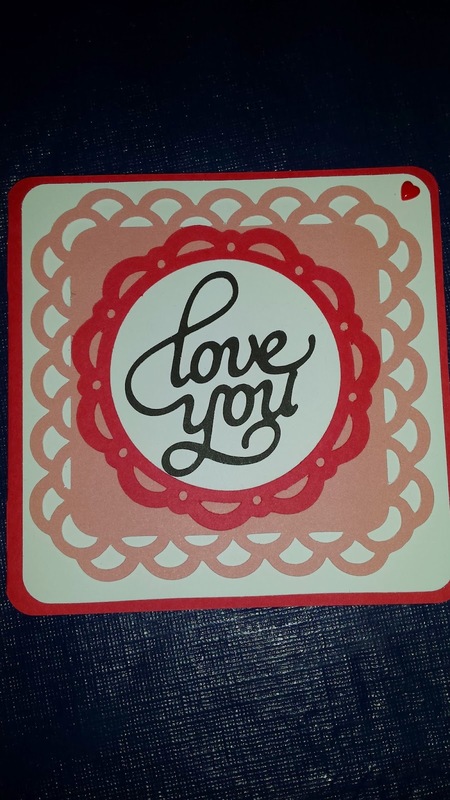 This card was a 5x5 card with four layers, 5 if you count the "love you" cut out on the top. The happy was cut out with Art Philosophy cartridge. We took nail polish with glitter and painted the letters. 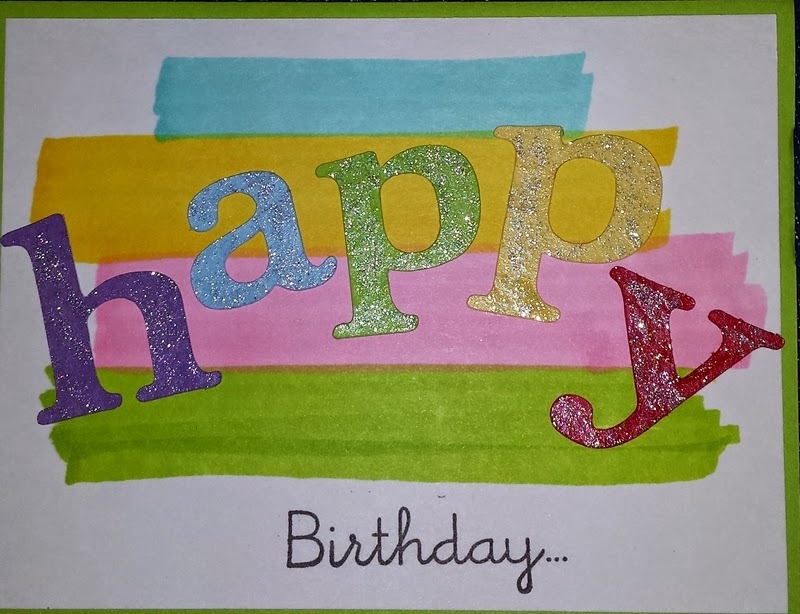 The background was made with our new alcohol markers. Birthday was stamped in black.